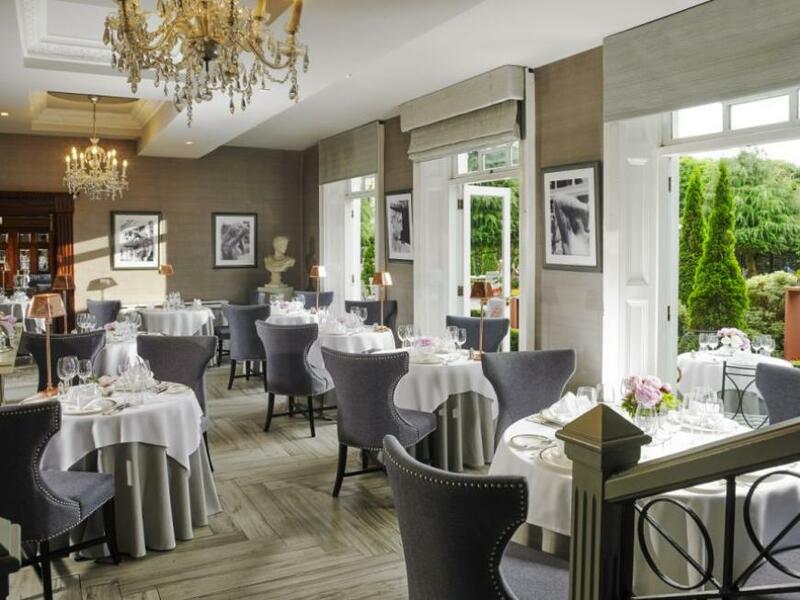 Set in two acres of gardens near University College Cork, the city's premier hotel provides every comfort and a remarkable level of privacy and seclusion, just a mile from the city centre. Hayfield Manor has the feel of a large period house, and is managed with warmth and discreet efficiency by General Manager TJ Mulcahy and his team. Public areas include a choice of restaurants - the formal Orchids, which overlooks gardens at the back of the hotel, and the causal conservatory style Perrotts Garden Bistro - and a pleasant bar that skilfully links the contrasting traditional and contemporary styles of the interior. Spacious suites and guest rooms vary in decor, but all are furnished with a mixture of antiques and modern furnishings and have generous marbled bathrooms. Breakfast is a highlight at Hayfield Manor, non-residents are welcome and it is served in Orchids restaurant (see below). The whole of the adjoining room is set up with a series of buffet tables offering a wide range of juices (orange and grapefruit both freshly squeezed), fruits, cereals (including their own granola), baked goods, smoked fish, meats and cheeses - and, an eye-catching item, a full size honeycomb frame. A good hot menu is offered too - the Full Irish, with splendid black-pudding and bacon from Rosscarbery, is outstanding - and there's also a separate children's menu, which is very unusual at breakfast. 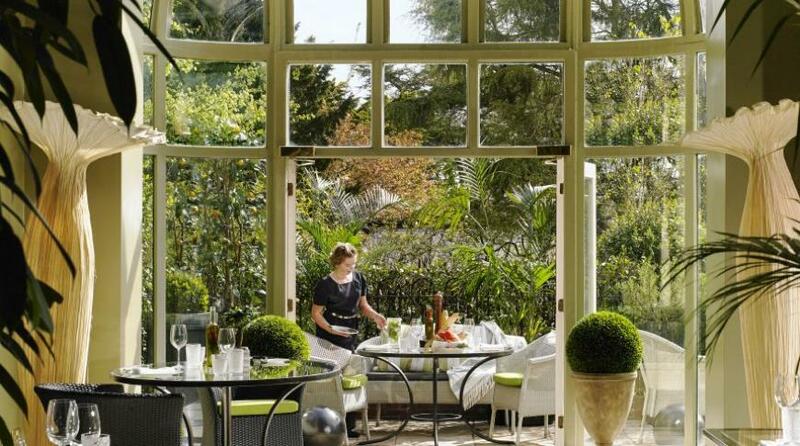 With its excellent food and service, and garden outlook this is a very pleasant place to start the day. 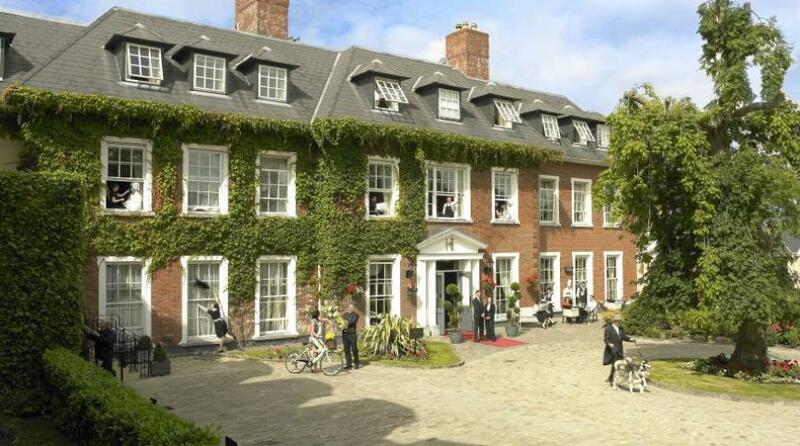 This Cork hotels on-site amenities include the tranquil Beautique spa, with indoor heated pool, sauna, steam room and outdoor Jacuzzi along with 6 treatment rooms furnished with antiques. Outside in the gardens you will find a hutch full of lovely friendly pet rabbits and, nearby, an aviary with a varied collection of beautiful birds - plenty to interest younger guests here, and many older ones too. 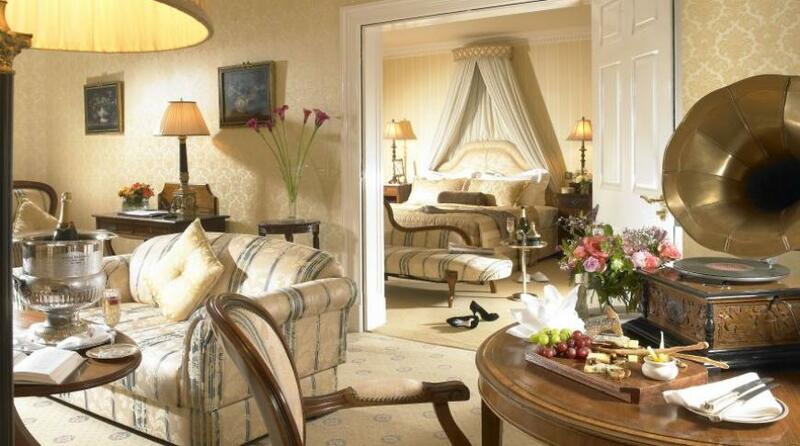 *Hayfield Manor was our Hotel of the Year in 2006. 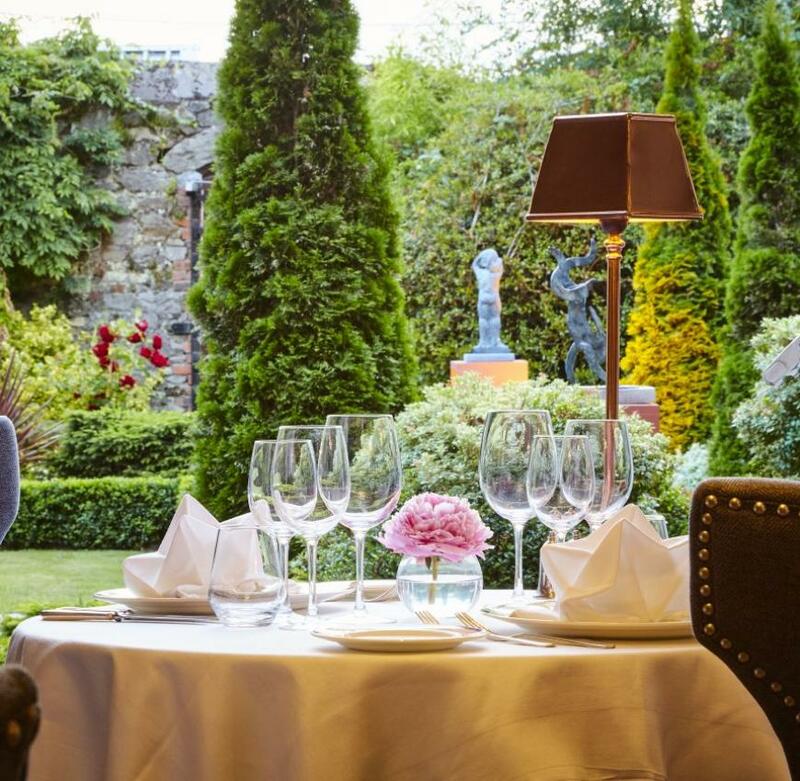 Allow time in The Manor Bar - a judicious blend of cosy traditional and chic modern - for an aperitif before going in to this fine dining restaurant, which overlooks the walled garden at the back of the hotel. Its elegant contemporary style works well with the old style of the building, and the well spaced tables are imaginatively arranged in three sections at varying levels, with the main area opening onto the garden. Executive Head Mark Staples's menus are based on local produce where possible ("committed to sustainable use of the earth's resources"), and continue the tradition of fairly classical cuisine with an occasional contemporary twist for which this restaurant is well known. A traditional White Glove Afternoon Tea is also offered in Orchids Restaurant, served daily in two sittings of 1.00pm and 3.30pm. With classical piano in the background, it offers an elegant setting in which to enjoy a tempting assortment of pastries and cakes. In a conservatory area at the front of the hotel, this smart and relaxing contemporary restaurant offers an informal alternative to dining in Orchids. Open for lunch and dinner daily, it has a bright and airy atmosphere, and is well established as a favoured destination with discerning Corkonians. Varied menus inspired by world food trends are peppered with the best of local produce, and the stylish surroundings, confident modern cooking and helpful, attentive service make for a very enjoyable dining experience. Opposite University College Cork - signed off College Road.